a) To promote by all lawful means improvements in the breeding, raising and racing of thoroughbred horses throughout Canada. b) Generally to improve the quality of thoroughbred racing in Canada for the benefit of all those interested in the sport, including the general public. c) To promote and encourage outstanding races for thoroughbred horses not only against Canadian competition but against horses bred and raised in other countries, and generally to promote Canadian thoroughbred racing both in Canada and elsewhere. d) To maintain records of pedigrees of thoroughbred horses and such other records as may be considered desirable. Members pay an initiation fee to join the J.C.C. and an annual fee, both modest. The J.C.C. is self-sustaining financially, and is therefore of modest mien. Its office is on the grounds of Woodbine racetrack, in the north-west quadrant of metropolitan Toronto. While The Jockey Club of Canada roster of members reflects the strength of Ontario racing, the J.C.C. is important to horse racingacross Canada. Ole Nielsen, a J.C.C. steward from British Columbia, said that The Jockey Club of Canada is an important body in the firmament of Canadian racing, and does so much more for the sport/ industry than is generally perceived. Attending international racing conferences was considered highly desirable for representatives of the J.C.C., socially acceptable and a way of meeting the leaders of horse racing around the world. ‘Bud’ Baker attended the international racing conference that follows the Prix de l’Arc de Triomphe race in Paris, in 1973, and appreciated the discussions vis-a-vis the major international race at Woodbine: the timing of the race in relation to the dates of the top races in Europe as well as North America, the potential problems with air transportation, with quarantine, the testing of horses for disease, the benefit of an international passport for horses. A representative of the J.C.C. continues to attend this important International Conference each year. These events facilitate discussions regarding the timing of important race dates, as well as uniform sales cataloguing standards, stakes races that are graded equitably and ideas for fostering new ownership in thoroughbreds. Most recently the highly charged topic of race-day medications was discussed as well as discussions on the integration of South American ratings and new guidelines for consideration into the International Catalogue Standards and Statistics Book (Blue Book). Woodbine, Toronto and Canada have become synonymous with the best in thoroughbred racing and breeding. The J.C.C. is the national organization that speaks for Canadian racing and breeding on such issues of the past as the jockeys use of the whip; prohibited substances in racing; anti-doping control; getting uniform sales cataloguing standards; beating the political undergrowth to get stakes races that are graded equitably; getting statistics that are of value and use to the racing industry and the media; veterinary problems and discussions; basic concerns that compare purse money to expenses; fostering ownership in thoroughbreds — the bricks and mortar of a racing edifice. Through its stewards and members, and its executive director, The Jockey Club of Canada remains proactive and responsive to the myriad intricacies that are woven into horse racing and breeding. Canada’s Horse of the Year was recorded by Daily Racing Form in Canada in 1951, and since then the roster of champions and outstanding participants has expanded to include 17 awards of achievement as well as 4 media category awards. Fashioned after the Eclipse Awards in the United States, the Sovereign Awards were inaugurated in 1975 with a poll of equine champions being conducted by Daily Racing Form of Canada. The Jockey Club of Canada assumed full responsibility for the poll in 1986 and has since been the host of the annual awards ceremony which has been refined throughout the years. Most recently, The Jockey Club of Canada was proud to have kicked off the 2011 Thoroughbred Racing season in Canada with a highly successful event held at Woodbine Race Track in Toronto on April 1, 2011. Within the industry , it is generally believed that the Canadian tax rules regarding the owning or maintaining of racehorses in Canada are outdated and unfair, said Catherine E. Willson, a barrister and solicitor in Toronto, who has been retained to advise Canada’s newly-formed Horse Racing Tax Alliance. The current tax laws, which have been in effect for virtually 50 years, have had a restricting effect on the growth of the racing industry in Canada. The Federal Government, through the Income Tax Act, recognizes three types of farmers in Canada: the full-time farmer, the part-time farmer, and the hobby or gentleman farmer. The full-time farmer , engaged in farming on a full-time and profitable basis, can deduct 100 percent of his or her losses against business income, like any other business. The part-time farmer, who is farming on a part-time and profitable basis can deduct expenses against other business income, to a maximum of $ 8,750, annually. The tax inequities in the Canadian horse racing and breeding industry came into focus during a Jockey Club of Canada drive to attract new owners into horse racing. It was suddenly apparent that owning a thoroughbred horse for racing was economically unsound. The Jockey Club of Canada has maintained an active focus on changing the tax rules governing the owning and maintaining of racehorses in Canada. Changing the current tax rules, which have been described by many as outdated and unfair, the Jockey Club of Canada spearheaded the Horse Racing Tax Alliance which consists of members from both the Standardbred and Thoroughbred industries across Canada. While the Tax Alliance has come close to influencing change in the past few years, the issues concerning the industry have yet to be resolved. In 2011 the Board of Stewards of The Jockey Club of Canada re-focused it’s strategy with the formation of a Tax Committee. This smaller group of racing industry representatives, headed by the expertise of Committee Chair, John Unger, a leading Tax Lawyer in Canada, is in the process of preparing a new presentation for the Minister of Finance. While remaining committed to it’s pursuit for change to the industry’s current tax rules, the Tax Committee, consisting of representatives from the Thoroughbred, Standardbred and Quarter Horse Industries has agreed to wait on the outcome of the Supreme Court case of Standardbred owner, John Craig, before presenting to the Minister. However it is to be noted that the committee has also agreed that a presentation to the Minister of Finance will be made by the end of Summer 2012 if, by that time, the Supreme Court case has not been heard. The Jockey Club of Canada was instrumental in publishing A Guide to Thoroughbred Ownership in Canada which includes extensive information such as naming your thoroughbred and choosing a trainer to operating costs and taxation. With the fourth edition re-printed in May 2007, this guide remains a valuable tool today and has been distributed to potential owners at various events and seminars across the country. After a few transitional years, The Jockey Club of Canada’s new 2011 initiative, an Evening at the Races for New Owners, kicked off on June 1 at Woodbine Race Track. Offering new owners a chance to meet and interact with trainers and syndicate owners, this event included a chance to view the paddock and saddling enclosures and to participate in a special Jockey Club of Canada race presentation. The evening was a success in attracting 29 new potential owners to the event and the J.C.C. is pleased to announce that one of the attendees has since purchased a two-year-old in training and there has been keen interest and follow-up from another two attendees. Learning from each experience, the J.C.C. also plans to advertise for new ownership on a regular basis in racing programs and mainstream media across Canada. Individuals who reply will be set-up with a mentor suited to their particular interest whether it is ownership through a syndicate/partnership or individually. The Graded Stakes Committee of The Jockey Club of Canada was formed in 1998. Prior to its formation, Graded races in Canada were determined by the North American Graded Stakes Committee, also referred to as the American Graded Stakes Committee. This United States based committee gave little credit or consideration to Canadian Racing and as a result, Canada had very few graded stakes. For several years, The Jockey Club of Canada lobbied the international community which eventually granted the J.C.C. the right to form a Graded Stakes Committee for Canada which would identify and quantify races to be given official Graded status. In 2011 there are 37 highly regarded Graded Stakes races in Canada, each of which are reviewed and adjusted as necessary annually by the Graded Stakes Committee of The Jockey Club of Canada. Lead by committee chair, Dr. Ross McKague, it was noted in his committee report this year that racing columnist Steven Crist commended the Canadian Graded Stakes Committee for their quality control indicating that the graded races in Canada held up to scrutiny by the international community better than the American graded races. Along with the day to day operations of The Jockey Club of Canada, the office, located in Toronto, Ontario, also acts as a field office to The Jockey Club (USA), based in New York State. All Canadian-bred Thoroughbreds are registered through The Jockey Club’s Registry Office in Kentucky. The Jockey Club of Canada is equipped to assist breeders and owners in Canada with the registration process including naming and transfers and duplicate registration applications etc. The Jockey Club of Canada office also provides information on the importance of Canadian-bred registration which allows horses to be eligible for various Provincial breeder and owner incentives. 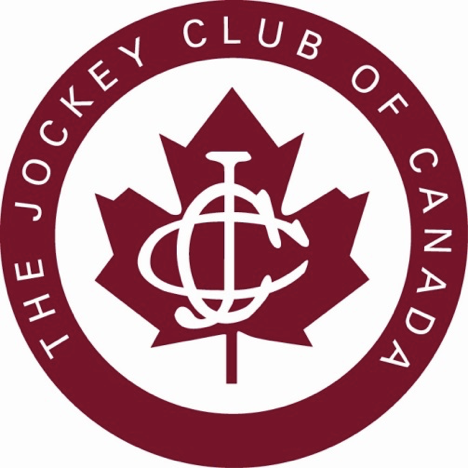 The Jockey Club of Canada office maintains a level of correspondence with its members through the J.C.C. website and also provides information on Canadian racing to racetracks, sales companies, the media and race fans.